Alpine Cleaning Norfolk – Call today! A quick guide to our carpet cleaning prices. For an accurate quote please contact us. Short and long-term contract cleaning is the mainstay of our business. We’re affordable, professional and 100% reliable. From one room to an entire house or office. Our affordable service will leave your carpets clean and smelling fresh. Save money by getting your property professionally cleaned before handing the keys back. Alpine Cleaning Norfolk LTD provide domestic and commercial cleaning services in Great Yarmouth, Norfolk and parts of Suffolk. 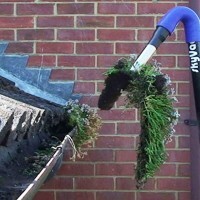 We offer a wide range of services including carpet cleaning, window cleaning & gutter cleaning. We’re an established cleaning company based in Great Yarmouth, Norfolk but provide cleaning services throughout Norfolk & Suffolk. We have been trading for 50 years! Whether you need carpet cleaning in Great Yarmouth, Norfolk or a complete office cleaned every day, Alpine Cleaning Services has the resources and experience to exceed all your cleaning expectations. As a professional cleaning company in Great Yarmouth, Norfolk, we provide a reliable and thorough cleaning service for all of our customers. We don’t employ agency cleaning staff and therefore can offer a high-quality focused service. All of our cleaning staff are given the relevant training for the job in hand to ensure a professional cleaning job is done at all times.